There’s a lot to love about mobile wallet marketing. 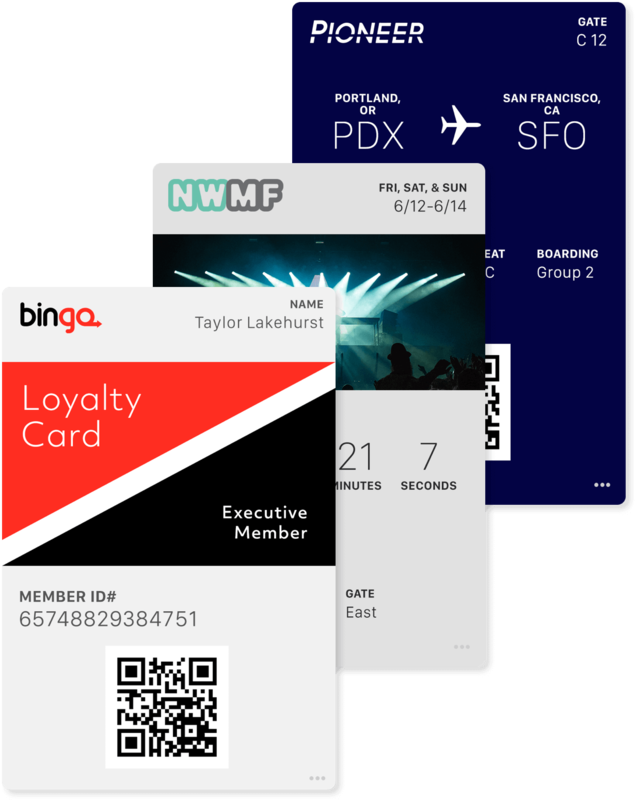 Your customers love having personalized, always-updated coupons, tickets, boarding passes, loyalty cards (and more) at their fingertips at the exact moment they need them. And brands love mobile wallet passes because they create a whole new channel for engaging customers on mobile — no app required. Send a link to download a wallet pass via email, SMS, or any other engagement channel in your stack. In just two taps, your customers download their pass, personalized with data from your CRM. And with our proprietary Adaptive Link™ technology, it’s automatically configured for each user’s OS. Static tickets, loyalty cards, and coupons are so over. Mobile versions are always up to date — and always at your customers’ fingertips. 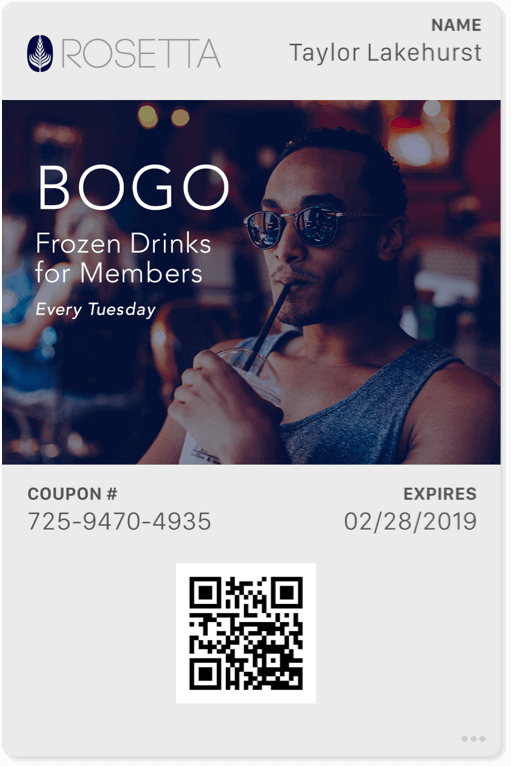 Use notifications sent straight from the pass or location triggers (or both) to prompt engagement with the pass at exactly the most relevant moment: A coupon the day before it expires; a loyalty card update when your status changes, or a ticket before an event starts. No one loves digging in a wallet for a coupon, or frantically searching their phone for their boarding pass or event ticket while the line grows behind them. Making those moments easy not only earns you your customers’ undying gratitude — it creates a delightful customer experience that builds trust and loyalty. 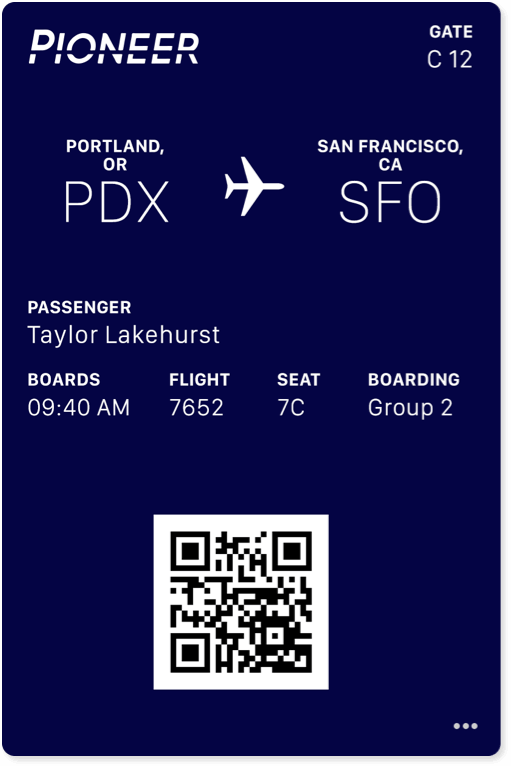 Create a seamless day of travel experience — no wifi required — by transforming boarding passes into an always-up-to-date source of real-time flight information, right on your guest’s boarding pass. Take your loyalty program mobile. Use mobile wallet to get customers signed up for your loyalty program in seconds with no forms to fill. 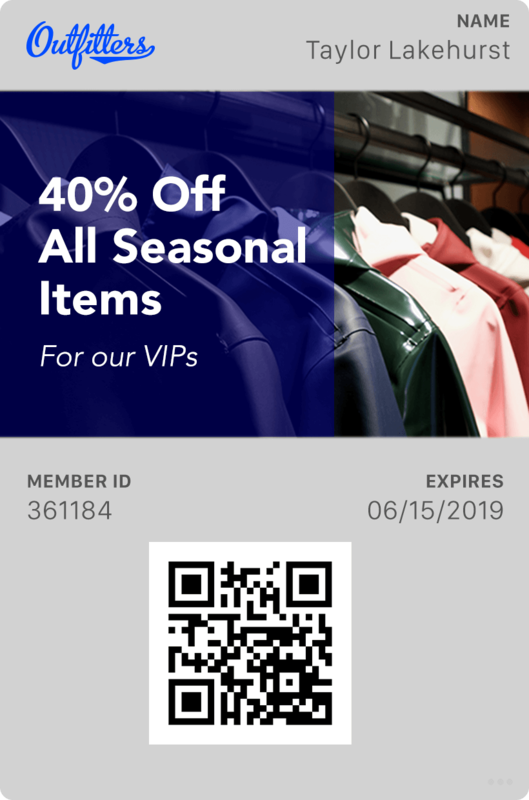 Once they have their mobile wallet loyalty card, send them real-time updates on their points status — even send them special offers and notifications — right from their wallet card. 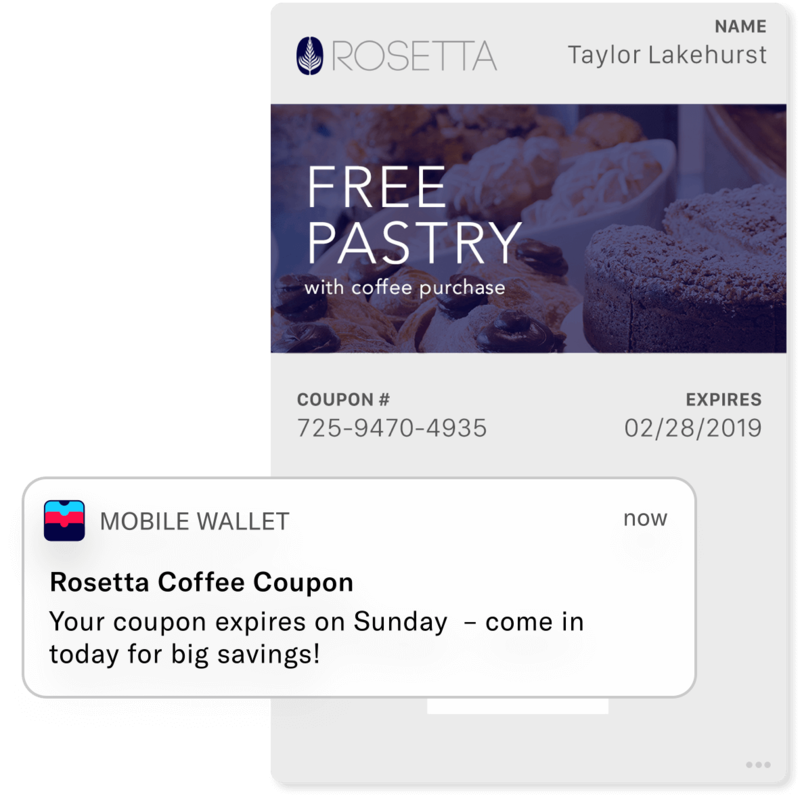 Give customers an infinitely-updateable, personalized mobile wallet coupon. 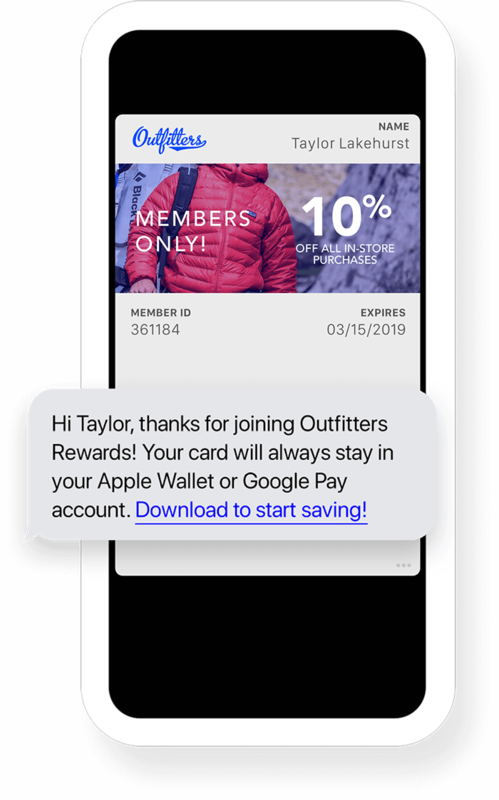 Update offers based on your user’s unique profile and purchase history — and send notifications sent right from the wallet pass to boost redemption rates and keep them engaged at exactly the right moment: at point of sale or when they trigger a geofence around your store. 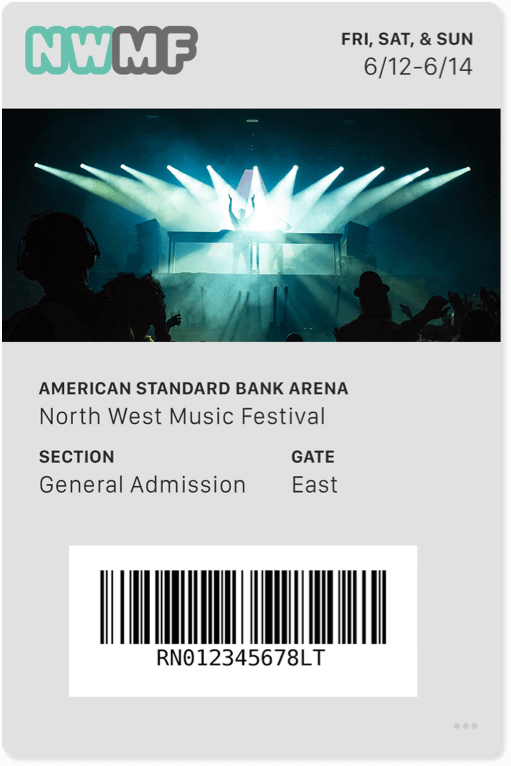 Make event entry fast and seamless with mobile wallet tickets. Update event information, offer seat upgrades — even create a countdown timer on the pass to build anticipation. Mobile wallet marketing is just one capability of Airship’s powerful customer engagement platform, which is built to help enterprise brands create massive value at every lifecycle stage. Let us show you what it can do for you.